NMM 236. 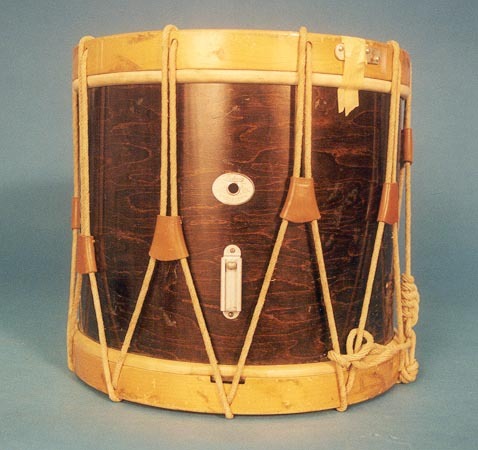 Parade drum by Ludwig & Ludwig, Elkhart, 1943. Wood shell, natural finish with letters US painted on side in green and gold. Eight leather tugs. Arne B. Larson Collection, 1979.